We think nature solve all problems of health. The strong conviction of DAOOM is we provide all products like natural state without artificial ingredients. 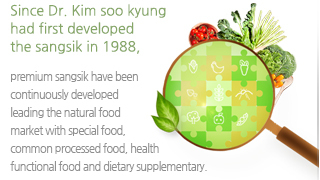 DAOOM maintain the living natural Nutrition using freeze drying Using freeze drying, we keep the food original Conditions and minimize the ingredient lost Being human, being healthy food, Being good raw food As a real living state-DAOOM We are DAOOM’s health guide For everyone’s healthy lives Since Dr. Kim soo kyung had first developed the sansik on 1988, Premium sangsik have been continuously developed leading the natural food market with special food, common processed food, health functional food and dietary supplementary. 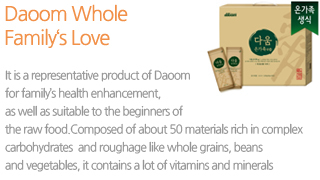 DAOOM Whole Family’s Love It is a representative product of Daoom for family’s health enhancement, as well as suitable to the beginners of the raw food. 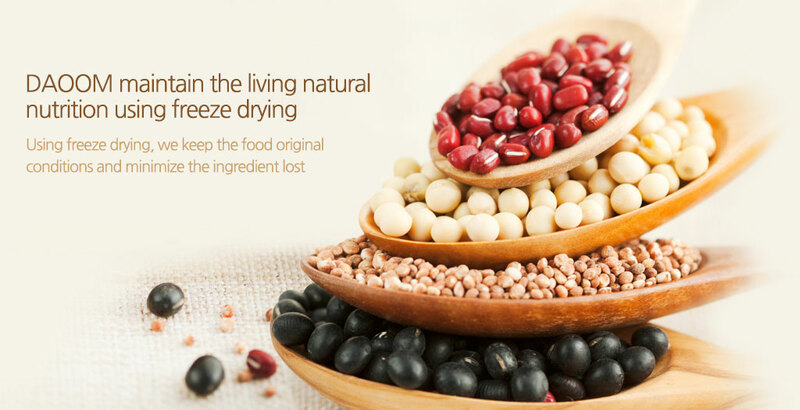 Composed of about 50materials rich in complex carbohydrates and roughage like whole grains, beans and vegetables, it contains a lot of vitamins and minerals. OEM/ODM OEM manufacturing as well as ODM using the patented ingredients, any request can be met.